The Wayne Jazz Band performed. The Wayne Jazz Band entertained guests at the Business Expo. Wayne High School students man the spirit booth. 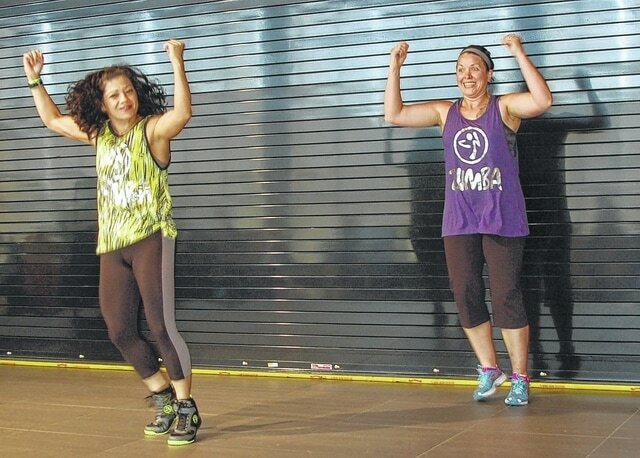 This was a Zumba demonstration at the Expo. HUBER HEIGHTS — Over 50 vendors displayed their services to the community at the 2015 Business and Community Expo hosted by the Huber Heights Chamber of Commerce on June at the Wayne High School Cafeterium.